Watch the next piece of the story unfold in Noir's MV teaser series, 'Twenty's Noir'. 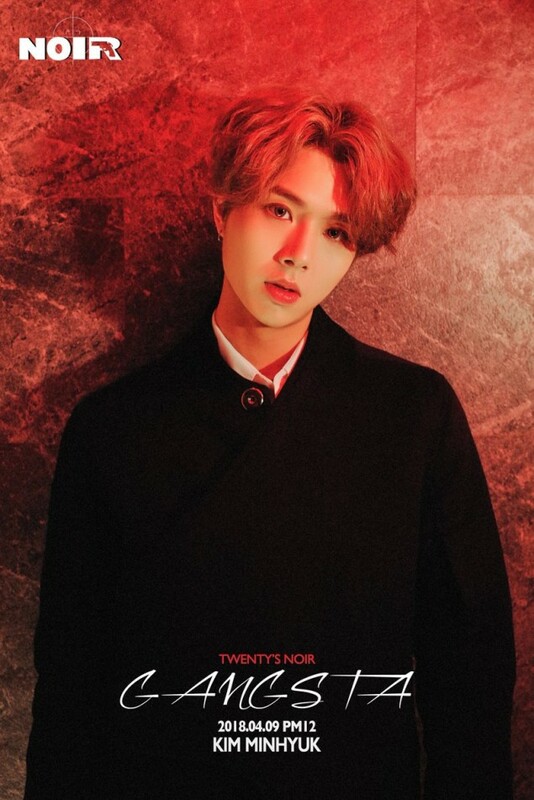 Starting last week, Noir have been giving fans glimpses of the story behind their debut MV with a teaser clip of each of the group's 9 members. Today's member in the video above is Yoo Ho Yeon. The story so far goes like this: a female lead with two long braids and glasses enters a fancy club party. She clearly doesn't belong there, with her outfit, her demeanor, and her lack of confidence, having a hard time. The Noir members, one by one, notice the female lead's distress. Stay tuned for more of Noir's story leading up to their debut with title track "Gangsta" on April 9, and check out Kim Min Hyuk's individual teaser photo below!